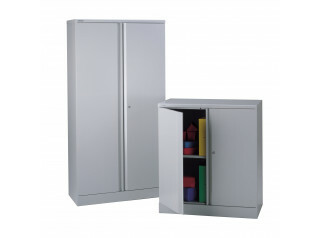 Bisley Stationery Cupboards are designed for maximum storage capacity whilst being economical on space. 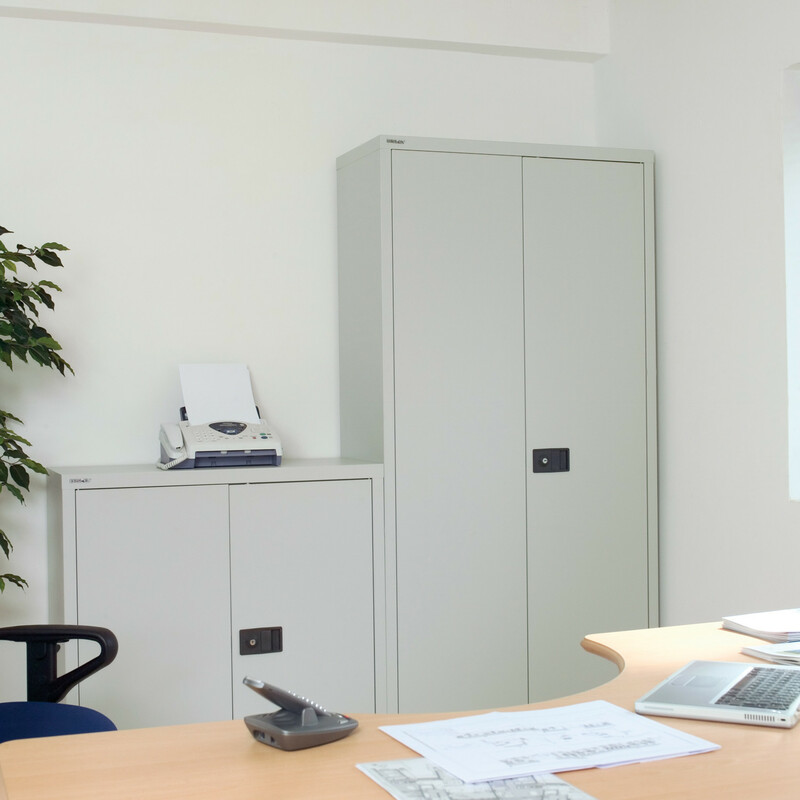 Ideal for both large open plan office spaces and smaller office areas where space is at a premium. 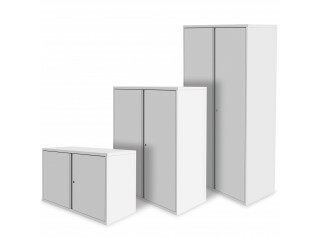 In recognition of the fact that multiple different office items need to be stored behind closed doors, Two Door Stationery Cupboards do not accommodate suspension filing frames but provide a space efficient solution to most office shelf filing requirements and under shelf lateral filing. 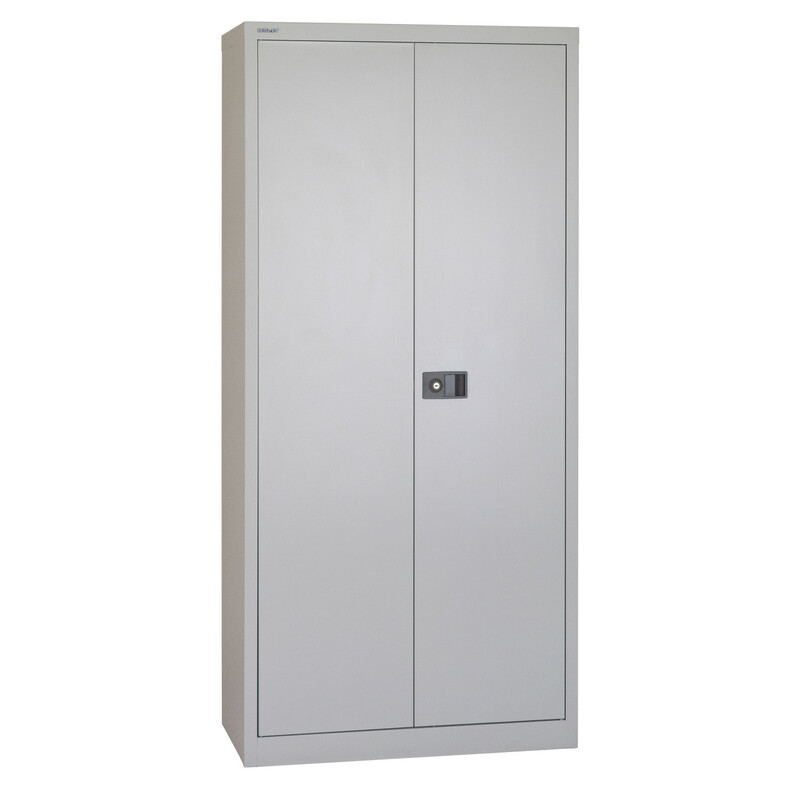 Stationery cupboards are designed to accommodate a dual purpose shelf / with undershelf filing (330mm centre). 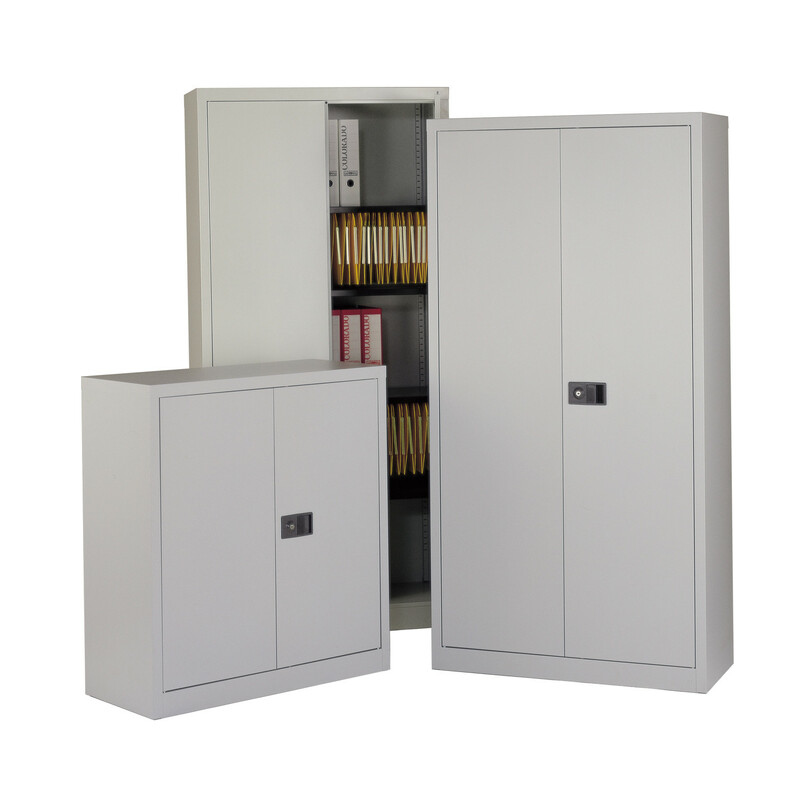 Bisley Stationery Cupboards are part of the 'Fast Track' range of affordable 'storage essentials' available on quick delivery. 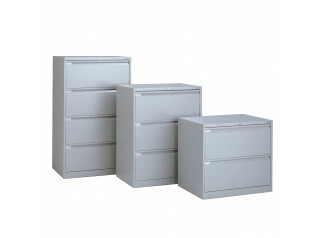 Also available in black (av1), light grey (av7) and silver (arn) on a standard lead time. 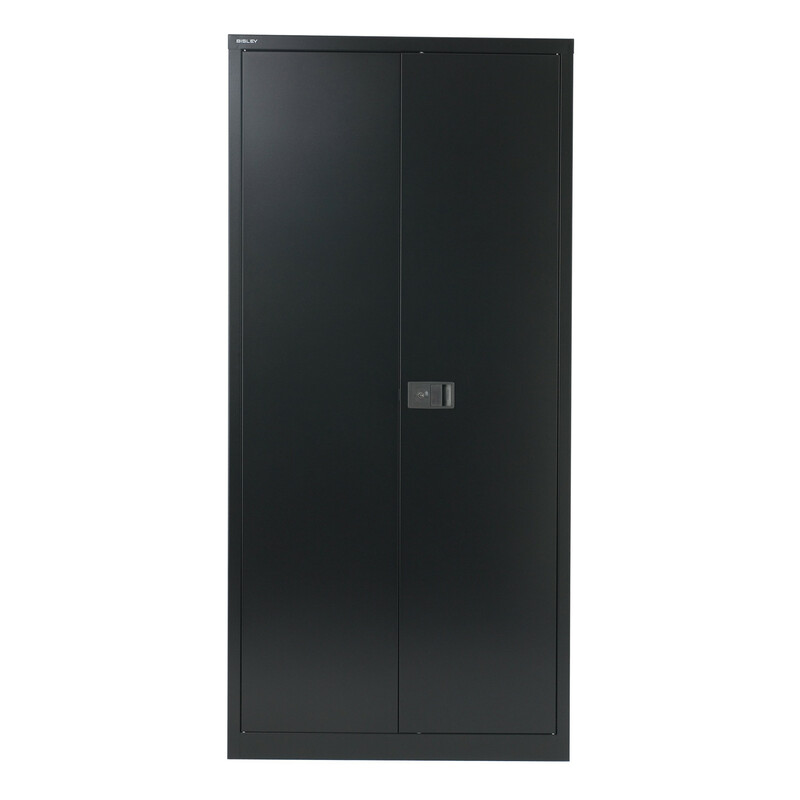 You are requesting a price for the "Bisley Stationery Cupboards"
To create a new project and add "Bisley Stationery Cupboards" to it please click the button below. 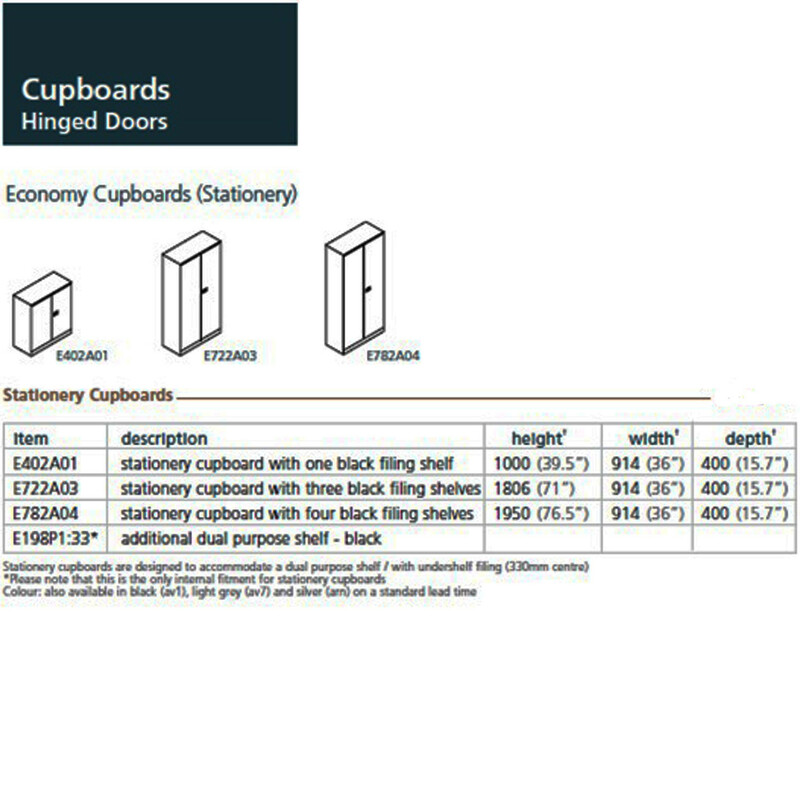 To add "Bisley Stationery Cupboards" to an existing project please select below.